This Sub-Page is provided as a permanent record of our efforts in support of the Chair of Naval Heritage at the Academy. It should be known that the Class honors the Chair-holder on his/her departure with a commemorative Chair engraved with inscriptions as below. It has just occurred to your Webmeister that the structure of this page is ridiculously cumbersome to any interested reader. Therefore, but not immediately, this page will be re-structured so that "The last shall be first and the first shall be last!" which will end my small game of offering drinks for readers that persevere to the end and learn the Magic Word that gets them drinks on me when next we meet. Alas and Alack! o	Supervisors: Sir Michael Howard; Robert O’Neill. o	Dissertation (unpublished): “The Influence of the Submarine upon Naval Strategy, 1896–1914”— a comparative study that examined relationships among government, naval administration, and high-technology industries connected with the development of the submarine in Britain, France and United States. Planning Armageddon: British Economic Warfare and the First World War (Cambridge, MA: Harvard University Press, 2012). o	Awarded 2013 Western Front Association Norman B. Tomlinson Jr. Prize. Sir John Fisher’s Naval Revolution (Columbia, SC: University of South Carolina Press, 1999; paperback edition, 2002). o	Awarded 2000 Society for Military History Distinguished Book Award. o	Awarded 2000 Western Front Association Norman B. Tomlinson Jr. Prize. Australia’s Maritime Inheritance: Imperial Maritime Strategy and the Australia Station (Canberra: Defence Publishing Service, 1998). Editor, The Submarine Service, 1900–1918 (London: Naval Records Society, 2001). “Righting the Scholarship: the Battle-cruiser in history and historiography,” Historical Journal 58 (March 2015): 275-309. Journal of Military History 77 (July 2013): 1055–1078. “On Standards,” War in History 19 (July 2012): 217–240. “Strategic Command and Control For Maneuver Warfare: Creation of the Royal Navy ‘War Room’ System, 1905–15,” Journal of Military History 69 (April 2005): 361–411. o	Awarded 2004 Institute for Historical Research Julian Corbett Prize. o	Awarded 2005 Society of Military History Moncado Prize. “Transformation and Technology in the Fisher Era: the Impact of the Communications Revolution,” Journal of Strategic Studies 27 (June 2004): 272–297. Journal of Military History 62 (January 1998): 29–56. o	Awarded 1999 Institute for Historical Research Essay Prize. o	Awarded 1999 Society for Military History Moncado Prize. “Admiral Sir John Fisher and the Concept of Flotilla Defense, 1904–10,” Journal of Military History 59 (October 1995): 639–660. o	Awarded 1996 Society for Military History Moncado Prize. “British Naval Policy 1913/14: Financial Revolution and Strategic Revolution,” Journal of Modern History 67 (September 1995): 595–626. “The Strategy of Economic Warfare: A Historical Case Study and Possible Analogy to Contemporary Cyber-warfare,” in Cyber Analogies, eds. Emily Goldman and John Arquilla, Technical Report: NPS-DA-14-001 (Monterey: Naval Postgraduate School, 2014). “Transformation and Technology in the Fisher Era: The Impact of the Communications Revolution,” in Information and Revolutions in Military Affairs, ed. Emily Goldman (New York: Routledge, 2005). “Sir John Fisher, the Fleet Unit Concept and the Creation of the Royal Australian Navy,” in Southern Trident: Strategy, History and the Rise of Australian Naval Power, ed. David Stevens and John Reeve (Canberra: Allen & Unwin, 2001). “Admiral Sir John Fisher and the Concept of Flotilla Defense,” in Technology and Naval Combat in the Twentieth Century and Beyond, ed. Phillips O’Brien (London: Frank Cass, 2001). “Economy or Empire: The Quest for Collective Security in the Pacific 1909–14,” in Far Flung Lines: Essays in Honor of Donald Schurman, ed. Keith Neilson (London: Frank Cass, 1997). “The Opportunities of Technology: British and French Strategy for the Pacific, 1905–09”, in The Parameters of Naval Power, ed. Nicholas Rodger (London: Macmillan, 1996). “Admiral of the Fleet Sir Arthur Wilson,” in The First Sea Lords: from Fisher to Mountbatten, ed. Malcolm Murfett (Westport, CT: Praeger, 1995). “Admiral Sir Francis Bridgeman,” in The First Sea Lords: from Fisher to Mountbatten, ed. Malcolm Murfett (Westport, CT: Praeger, 1995). The Class of 1957 Distinguished Chair in Naval Heritage was established in 2006 as a means of fostering Midshipmen understanding naval heritage and its importance to their profession. Professor Nicholas A. Lambert was appointed as the tenth chair-holder in August 2016. The following is a report of his activities during the 2016-2017 academic year. Teaching such a large and important subject in the space of a single term is a challenge—especially to plebes, who of all the midshipmen have the least time to read or to think. Additionally, most arrive at the Naval Academy with a weak grasp of US and World history, geography, and current events. Too many possess weak writing skills; some are slow to accept their deficiencies or the necessity to invest a portion of their time to improve their writing. None of these shortcomings are insoluble, and with close instruction during the course of the term most midshipmen show considerable improvement—but this remedial instruction in writing can only come at the cost of reducing the time available to teach naval history. The far greater difficulty is persuading midshipmen that instruction in the study of history is a worthwhile topic. There seems little doubt that within the Brigade at large, naval history is viewed as a subject of secondary importance. The key is to awaken (sometimes literally) the innate enthusiasm for the subject possessed by most, while at the same time demonstrating the relevance of what they are being taught for a career in the US Navy. This often means teaching at a higher level than some might consider appropriate, because the principal utility of studying history for an officer is that it trains the brain to handle complexity. But the best of the midshipmen are willing to rise to the challenge, and in so doing draw along in the wake many of the remainder. To help the plebes develop an appreciation of their naval heritage as well as to impress upon them the importance for naval officers to enhance their understanding of history, Professor Lambert invited two distinguished US Navy officers to give the final lectures of the terms. In the fall, Vice Admiral James Sagerholm (USNA, 1952) spoke of his time during the Korean War on board his first ship, USS Rochester commanded by Captain Richard Philipps. The Admiral enthralled the midshipman with his memories of Captain Philipps, who of course was awarded the Navy Cross for his famous torpedo attack at Surigao Straits on 25 October 1944. During the spring term, Rear Admiral Stuart Munch (USNA, 1985), the current assistant deputy chief of naval operations, instructed the midshipmen on the continuing relevance of history to naval officers in today’s navy, giving them examples from his own extensive operational and staff experience. Again, the midshipmen were spellbound. In addition to teaching “plebe” naval history, Professor Lambert taught two upper-division (300 level) elective courses. Thanks to the generosity of Claude Berube, the director of the naval academy museum, both classes were held in the museum conference room seated at the table presented by the king of Japan in 1853 to Commodore Mathew C. Perry, flanked by the furniture that used to decorate the captain’s cabin in the USS Constitution. In the fall, Professor Lambert led a seminar series on “State, Society and the Military from 1789-1945”. This course examined the manner in which changes in the economic, social, and political structures of the European powers, influenced the development of western military institutions (including the United States). This interrelationship between military and naval institutions on the one hand, and alterations in economic, social, political, and international relations structures on the other, in turn provided the basis for the study of strategy, operations, tactics, logistics, and weapons technology. As the “Class of 1957 Chair in Naval Heritage”, Professor Lambert gave two public and one confidential presentations. In September, the Maryland Historical Society invited him to deliver the keynote address at the opening of a new exhibition on the First World War at the Baltimore Maritime Museum. The organizers estimated attendance at over three hundred. In November, Rear Admiral Stephen Parode (US Strategic Command) invited him to present to the Naval Cyber Warfare Development Group on the analogies between economic and cyber warfare. Lastly, in March 2017, Professor Lambert delivered an open lecture in Preble Hall, part of the four lecture series sponsored annually by the VADM Ralph L. and Frances Shifley trust. The subject was ‘Churchill and the Dardanelles campaign’ and incorporated some of his findings to be published in his above-mentioned new book. The museum director reported that the presentation attracted a record audience and was well received. 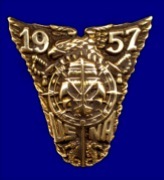 The Class of 1957 Distinguished Chair in Naval Heritage was established in 2006 as a means of fostering Midshipmen’s understanding of naval heritage and its importance to their profession. Professor Nicholas A. Lambert was appointed as the tenth chair-holder in August 2016. The following is a report of his activities during the 2017-2018 academic year. In each term, Professor Lambert taught the mandatory American naval history course (HH104) to a section of plebes from the incoming class of 2021. The course examining the antecedents, origins and development of the United States Navy within the framework of America’s growth as a continental and global power, with particular emphasis on the development of naval and maritime strategy. Professor Lambert asked the midshipmen to concentrate their studies upon four main topics: the role of the navy during the Revolutionary War, its role during the Civil War, the Pacific campaign during the Second World War, and Mahan’s theory of sea power. The Midshipmen were expected not merely to accumulate knowledge, but to understand the dynamics of these pivotal subjects. As last years, each class visited the liberty ship “John W. Brown” in Baltimore Harbor, a trip made possible through the generosity of Captain Mike Schneider USN (ret.). Teaching such a large and important subject as US naval history in the space of a single term is a challenge—especially to plebes, who of all the midshipmen have the least time to read or to think. Additionally, as I mentioned in my last report, and previous chair holders have also remarked, most plebes arrive at the Naval Academy with a shockingly weak grasp of history (world and US), geography, current events, and writing skills. The first assignment I give is to write a short essay explaining “what is a Navy for”, or “what does a navy do”? The answers I get to this simple and straightforward question are sometimes amazing. It also is difficult persuading some midshipmen that instruction in the study of history is a worthwhile topic. There seems little doubt that within the Brigade at large, naval history is viewed as a subject of secondary importance. In my presentation at the 60th Reunion, I suggested to the Class that the first objective is to demonstrate to the Midshipmen the relevance of history for a career in the US Navy. Once the relevance is established, they are inclined to invest more effort in grappling with a complex subject, making it possible to teach at a far higher level. The best of the midshipmen willingly rise to the challenge, pulling along the rest in their wake. After a few weeks, the majority are surprised to learn that the US Navy has played a far more important role in the development of this country than they had thought, or they had been taught in school, or had appeared in any book they had ever read. After two years as the Class of 1957 Chair, Professor Lambert has formed the conclusion that the best that be accomplished in the allotted time is to instill in the midshipman an appreciation of naval history; to educate them as why an understanding of history is important to a naval officer; to encourage them to continue reading history after they leave the Naval Academy; and above all to provide them with the necessary skills to self-educate. To help the plebes develop an appreciation of their naval heritage, Professor Lambert invited two members of the Class of 1957 to give the final lectures of the terms: Admiral Bruce DeMars in the fall and Captain Bill Peerenboom in the spring. Both instructed the midshipmen on the importance of reading widely, especially history. In addition to teaching “plebe” naval history, Professor Lambert taught two upper-division (300 level) elective courses. Again, the director of the naval academy museum allowed him to teach his classes in the museum conference room seated at the table presented by the Emperor of Japan in 1853 to Commodore Mathew C. Perry. In the fall, Professor Lambert led a seminar series on “Sea power and the application of naval force: from Nelson to Nimitz”. This course examined the concept of “Sea Power”, a term first coined in 1890 by Captain Alfred Mahan, built upon his study of wars during the age of sail. The course charted the development of Mahan’s theory over time, identifying subtle changes in his argument, and studying the reasons for these change as well as their significance. We also looked at various subsequent competing theories of Sea Power, testing the validity and applicability of each in light of the enormous changes in the world during the late-nineteenth and early twentieth century. Finally, we looked at the development of the US Navy during the period 1920 and 1945, again testing Sea Power theory against the actual events. In the spring, the subject was (by popular demand) “Gallipoli 1915: a case study”. The opening question posed the midshipmen was why do politicians sometimes act contrary to the expert opinion of their professional military advisors? The course explored this question through an in-depth look at the infamous British attack at Gallipoli during the First World War, one of the greatest military disasters of the 20th century. The class learned that the reasons for the campaign had little to do with operational concerns and a great deal to do with domestic politics and economic issues. During the course of the term, the class was visited by a number of naval officers, active and retired, with experience in the naval or the joint staffs, all of whom contributed their thoughts on various difficulties they observed in the formulation of strategic-policy. The final lecture was delivered by LGEN Paul Van Riper USMCR. As the “Class of 1957 Chair in Naval Heritage”, Professor Lambert gave one public and one confidential presentation. In March 2018, he delivered an open lecture in Preble Hall, part of the four-lecture series sponsored annually by the VADM Ralph L. and Frances Shifley trust. The subject was "Why did the Admiralty Follow Churchill's Plans at Gallipoli?" and the talk incorporated some of his findings to be published in a forthcoming book. In May 2018, the Chief of Naval Operations, Admiral John Richardson, invited Professor Lambert to deliver the keynote address at the plenary session of a meeting of the CNO’s Executive Panel in the Pentagon. Professor Lambert completed his book manuscript provisionally titled “Gallipoli, Grain and Globalization”, submitted it to a publisher, and looks forward to acknowledging therein the generosity of the Class of 1957 after it is published hopefully next year. History: Naval and Maritime History, Military History, Diplomatic and World History, History of Technology, Intellectual and Cultural History, Early American History, Comparative Empire. International Relations/National Security Affairs: U.S. Foreign Policy, Strategic Studies, International Security, International Organizations and Negotiations, Strategic Planning. Dissertation: “Progressives in Navy Blue: Maritime Strategy, American Empire, and the Transformation of U.S. Naval Identity, 1873-1898.” Committee: Jeremi Suri, John W. Hall, William R. Reese, Jennifer Ratner-Rosenhagen, and Helen Kinsella. Course taught: “The American Military Experience to 1902.” (HIS 427) Led three seminar sections composed of graduate and undergraduate students. - “The U.S. Navy’s Secret, 11-Page Plan to Conquer Canada” published on the national security website War on the Rocks (http://warontherocks.com/2015/12/the-u-s-navys-secret-11-page-plan-to-conquer-canada/), December 2015. - “‘The Essence of Intelligence Work is Preparation for War’: How ‘Strategy’ Infiltrated the Office of Naval Intelligence, 1882-1889,” The International Journal of Naval History, Vol. 12, No. 3, December 2015. Also presented at the 2015 McMullen Naval History Symposium, U.S. Naval Academy, Annapolis, MD, September 2015. - “Progressives in Navy Blue: Maritime Strategy, American Empire, and the Transformation of U.S. Naval Identity, 1873-1898.” Presented at the Naval History and Heritage Command, Washington D.C., September 2015. - “Cultures of Progress: U.S. Navy Professionalization, 1873-1898.” Presented at the West Point Summer Seminar, West Point, NY, June 2015. - Review of 21st Century Mahan by Benjamin F. Armstrong (ed. ), in Naval History Book Reviews, Issue 39 (29 May 2014): 1. - “’A Peculiar Beginning’: U.S. Naval Intelligence and the Birth of a New Strategic Paradigm, 1869-1889.” Peer-reviewed paper presented at the 2013 New Faces Conference, Triangle Institute for Security Studies, Chapel Hill, NC, September 2013. - “The Contested Origins of the Modern U.S. Naval Profession, 1870-1880.” Presented at the 2013 McMullen Naval History Symposium, U.S. Naval Academy, Annapolis, MD, September 2013. - “U.S. Naval Intelligence and Strategic Practice, 1869-1889." Presented at the 2013 Military History Graduate Student Conference, Ohio State University, Columbus, OH, May 2013. - Review of The Admirals: Nimitz, Halsey, Leahy, and King - The Five Star Admirals Who Won the War at Sea by Walter R. Borneman, in Naval History Book Reviews, Issue 29 (27 March 2013): 1. - “Under Leahy’s Hand: William Leahy, Franklin Roosevelt, and the Crafting of Coalition Strategy During World War II.” M.A. thesis, University Of Wisconsin-Madison, 2011. Advisor: Jeremi Suri. - Review of Admiral Nimitz: The Commander of the Pacific Ocean Theater by Brayton Harris, in Naval History Book Reviews, Issue 19 (8 May 2012): 2-3. - “The Torpedo in WW II: A Study in the Origins, Use, and Impact of a Revolutionary Weapon.” Presented at the Wednesday Night at the Lab Symposium, University of Wisconsin—Madison, December 2011. - “Highest Branch of the Profession or the Appearance of a Farce: The Struggles over Historical Studies, Officer Education, and Professionalization in the U.S. Navy, 1873-1893.” Presented at the Society of Military Historians annual meeting, Lisle, IL, June 2011. - “Scenario #1 Briefing,” “Scenario #2 Briefing,” and “Methodology for Strategy-Policy Analysis.” Presented at the workshops on Contemporary Strategy and Policy-Making, Grand Strategy Program, University of Wisconsin—Madison, November 2009 and March 2011. - “Transatlantic Naval Cooperation, Past and Present.” Presented at the Workshop on New Directions in the History of Transatlantic Politics, Culture and Society; European Center for Excellence, University of Wisconsin—Madison, March 2008. - “Unlocking the Potential of War Games: A Look Beyond the Black Box” (Naval Postgraduate School Technical Paper NPS56-88-007, Monterey, California, 1988). Presented at the 56th Military Operations Research Society Symposium, Monterey, CA, June 1988. - “Beyond the Black Box: An Assessment of Strategic War Gaming.” M.A. thesis, Naval Postgraduate School, 1987. Advisor: James J. Tritten. - “The Morris Island Campaign, July-October 1863.” Senior Thesis, U.S. Naval Academy, 1974. Advisor: Craig L. Symonds. Founding program director. Established distance education program to advance the study of international relations, strategy, and policy: https://ippcc.polisci.wisc.edu/. Designed curricula for online education methods and technology. Integrated and focused the resources of diverse university departments to achieve program goals. Developed online postgraduate course POLS704: National Security Affairs. Founding project director. Developed and supervised programs, courses and curricula to enhance learning opportunities at UW-Madison that emphasized leadership and complex, global problem-solving. Integrated and focused the resources of students, university departments, and leading Wisconsin businesses to achieve program objectives. Developed, organized, and led online strategic studies program each summer. Academic advisor for graduate and professional students. Completed a two-week seminar on best practices for teaching at the university level. Course included pedagogical theory and effective teaching practices. - Captain, U.S. Navy (Retired). Thirty years of experience as a Surface Warfare Officer. - Commanding Officer afloat in USS Camden (AOE-2) and USS Boone (FFG-28). - Command ashore of Naval Reserve Officer Training Corps Unit, University of Wisconsin—Madison (Madison, WI) and Regional Support Group, Pacific Northwest (Everett, WA). - Chief of Staff/Director, Combat Logistics Force Operational Advisory Group (CLF OAG) for Commander, Naval Surface Group Pacific Northwest (Everett, WA). - Reactor Officer in USS Harry S. Truman (CVN-76). - Chief, Navy Section, U.S. Military Group Argentina, Buenos Aires. - Executive Officer in USS Arkansas (CGN-41); Department Head tours in USS Richard E. Byrd (DDG-23) and USS George Washington (CVN-74); Division Officer tours in USS California (CGN-36). - Shift Engineer/Production Training Officer/Senior Instructor, Nuclear Propulsion Training Unit, Ballston Spa NY. - Specialized navy qualifications and designations: Political-Military Affairs, Strategic Planning, International Organizations And Negotiations, Operations Analysis, Western Hemisphere Specialist, Spanish Linguist, Nuclear Engineering, Undersea Warfare, Joint Specialty (JS2/JS4). - Security Clearance: TOP SECRET/SCI. Professor A. Scott Mobley Jr. The Class of 1957 Post-doctoral Fellow in Naval Heritage was established in 2012 to help foster among future naval leaders an understanding of naval history and its importance to their profession. The fellowship also strengthens the wider field of naval history by serving as a “launch pad” for the careers of promising new scholars. I was appointed as the third Class of 1957 Post-doctoral Fellow in August 2016. The following is a report of my activities during the 2016-2017 academic year. I taught one section of American Naval history (HH 104) during each semester of the 2016-2017 academic year. Both sections consisted of plebe midshipmen from the Class of 2020. I designed the HH 104 course to build the analytical and communication skills (oral and written) needed by the students to perform effectively as naval leaders. Critical Inquiry and Historical Sensibility were important takeaways. Critical Inquiry is the ability to ask–and answer–the right questions, while Historical Sensibility is a powerful tool for navigating the complex and messy world that midshipmen will one day encounter beyond the Yard. The course introduced several themes that encompass U.S. naval history: (1) how foreign and domestic developments shape U.S. naval policy and missions; (2) how naval strategy and technology evolve over time; (3) how changing conditions transform the navy’s professional culture; and how (4) individual choices (historians call this “agency”) shape America’s naval past. ● Why does the U.S. maintain a navy? What purposes does the navy serve? What benefits does the nation derive from its navy? What costs does it incur? ● How does the navy accomplish national goals? How does it interact with other instruments of national power (diplomatic, economic, ideological/cultural) to achieve these goals? ● How does the navy change over time? Why does it change? How do political, strategic, economic, cultural, and technological trends shape the navy? The Historical Atlas of the U.S. Navy by Craig L. Symonds (Class of ‘57 Distinguished Chair, 2011-2012), along with various handouts from other works. I supplemented classroom sessions with visits to the USNA Museum and Nimitz Library for some hand-on experiences with historical artifacts and research. Working with the current Class of ‘57 Distinguished Chair, Professor Nicholas A. Lambert, I co-hosted two distinguished naval officers as capstone speakers for the course. Retired VADM James A. Sagerholm (USNA, 1952) spoke during the fall term about his Korean War experiences as a junior officer in USS Rochester (CA-124). During the spring term, RADM Stuart B. Munsch (USNA, 1985), the current Assistant Deputy Chief of Naval Operations (N3/5B), shared insights on how historical knowledge and understanding remain vital competencies for modern naval leaders. The midshipmen especially appreciated how RADM Munsch illustrated key concepts with captivating stories from his own operational and staff experience. The midshipman also enjoyed a “first-person” history session in early May with retired CAPT Bill Peerenboom (USNA, 1957). CAPT Peerenboom highlighted the accomplishments of distinguished ‘57 class members, then shared with the students several engaging accounts of his own naval experiences during the Cold War and Vietnam conflict. interactive class sessions as #1 for helping them to learn historical knowledge and skills. However, I also found that some students seemed frustrated or insufficiently prepared to take full advantage of the classroom opportunities. After a year of classroom observation, feedback from midshipmen, and discussions with other faculty, I identified several root causes that inhibit student learning in HH 104.
me to publish the book in spring 2018. Collaborating with a team of scholars from the University of Wisconsin–Madison, Harvard University, and other institutions I helped to develop and launch Voices and Visions , an online primary source reader for U.S. foreign relations. We designed the site as an innovative Open Educational Resource (OER) that features multimedia source materials rather than text documents. I currently serve on the project’s editorial board, which vets all contributions and conducts peer review. As my contribution to the premier set of articles for Voice and Visions , I researched and wrote an analysis of Franklin D. Roosevelt’s Fireside Chat #14, which announced U.S. neutrality when World War II broke out in 1939. I also contributed to an article describing the Voice and Visions project that appeared in the January 2017 edition of Passport , the review journal of the Society for Historians of American Foreign Relations (SHAFR). In addition, I am scheduled to make a presentation on the project to the SHAFR Teaching Committee at the society’s annual meeting in June. Lastly, at the request of H-War, I wrote a review on Suzanne Geissler’s God and Sea Power: The Influence of Religion on Alfred Thayer Mahan (Annapolis: Naval Institute Press, 2015). H-War is a component of H-Net, an international interdisciplinary organization of scholars and teachers dedicated to developing the educational potential of the Internet. The review will appear on the H-War site later this summer. I was appointed as the third Class of 1957 Post-doctoral Fellow in August 2016. The following is a report of my activities during the 2017-2018 academic year. I taught one section of American Naval history (HH-104) during each semester of the 2017-2018 academic year. For the most part, both sections consisted of plebe midshipmen from the Class of 2021. One student in my spring 2018 section was a youngster from the Class of 2020. I designed the HH-104 course to build the analytical and communication skills (oral and written) needed by the students to perform effectively as naval leaders. Critical Inquiry and Historical Sensibility are important takeaways. Critical Inquiry is the ability to ask–and answer–the right questions, while Historical Sensibility is a powerful tool for navigating the complex and messy world that midshipmen will one day encounter beyond the Yard. The course introduced several themes that encompass U.S. naval history: (1) how foreign and domestic developments shape U.S. naval policy and missions; (2) how naval strategy and technology evolve over time; (3) how changing conditions transform the navy’s professional culture; and how (4) individual choices (historians call this “agency”) shape America’s naval past. ● How does the navy change over time? Why does it change? How do political, strategic, economic, social/cultural, and technological trends shape the navy? ● How does the navy accomplish national goals? How does it interact with other instruments of national power (diplomatic, information/ideas, military, economic) to achieve these goals? ● How do individuals shape–and how are they shaped by–naval experiences? How can we understand the uncertain, complex, and messy worlds they faced? How does our situation as naval professionals today reflect the experiences and choices (agency) of our predecessors? ● How does history explain the current naval predominance of the United States? I assigned two textbooks for HH-104 during the past academic year. During the first three weeks of the semester, my students read The U.S. Navy: A Concise History by Craig L. Symonds.1 This slender volume (106-pages) offers a succinct overview of U.S. Navy and Marine Corps history that can help to build a foundation for deeper study. I assigned the Symonds text during both fall and spring semesters, in part to address the inconsistent student grasp of historical and geographic fundamentals I reported last year. 1 Dr. Symonds was Class of ‘57 Distinguished Chair during 2011-2012. 2 The USNA Class of ‘57 provided generous support which made publication of America, Sea Power, and the World possible in 2015; Dr. Bradford was Class of ‘57 Distinguished Chair at USNA during 2012-2013. James C. Bradford’s edited volume America, Sea Power, and the World provides the substance for the course over the balance of the semester. I usually assign one chapter from this text per class session.2 I supplement the course textbooks with reading assignments from The Historical Atlas of the U.S. Navy by Craig L. Symonds, along with various handouts from other works. Due to scheduling issues, I did not host a capstone speaker during the fall semester. However, during the spring term CDR Stephen Phillips, USNR (Ret,), USNA ‘97 shared his research and insights on the Tanker Wars/Operation Earnest Will (1987-88) with my class. CDR Phillips is a senior analyst in the National Security Analysis Department at the Johns Hopkins University Applied Physics Laboratory. He is also an advanced Ph.D. candidate at King’s College, London. Teaching the American Naval History course continued as the highlight of my fellowship tour. However, as previously reported HH 104 also presents some particular challenges. Enthusiasm, intelligence, and native inquisitiveness remain common virtues of the midshipmen enrolled in the course. Of note, I encountered no motivational issues among my sections—no “slackers.” All students consistently worked hard to master the knowledge and skills imparted by the course. In my report last year, I identified several issues that challenged student learning in HH-104. These issues informed four pedagogical goals I established for the 2017-2018 academic year: (1) address the inconsistent student grasp of historical and geographic fundamentals, for the U.S. and globally; (2) encourage students to embrace effective reading and notetaking strategies; (3) improve weak writing skills; and (4) help students to develop better critical thinking habits. With these objectives in mind, I redesigned elements of HH-104. I fundamentally restructured the writing assignments for HH-104 to address the writing skills and critical thinking goals. During past years I assigned a major writing that required students to research and write a ten-page term paper. By giving students only “one shot” at critical research and writing, this approach offered scant opportunity for students to learn and demonstrate improvement within a single semester. As a result, this year I replaced the term paper with a sequence of shorter focus essays. These essays (normally 4-5 pages in length) focused the students on fundamental skills: how to analyze information from various sources, how to develop an argument, and how to persuade a reader of the argument’s validity. Each focus essay assignment gave the students a choice of research questions and provided the primary and secondary sources needed to develop and sustain an argument. 3 Aggregating the two semesters, 47% (16/34) of students became more adept at developing arguments and thesis statements as the course progressed. Likewise, 50% (17/34) improved in writing skills. However, with regard to logic and argument only 26% (9/34) of the students showed improvement. 4 Progressives in Navy Blue is available from the Naval Institute Press at https://www.usni.org/store/books/spring-2018-catalog/progressives-navy-blue. The book is also listed on Amazon at: https://www.amazon.com/Progressives-Navy-Blue-Transformation-1873-1898/dp/1682471934. During this past winter I researched and wrote a paper that examined LCDR (later FADM) William D. Leahy’s account of the U.S. intervention in Nicaragua in 1912. Throughout his six-week tour of duty in Nicaragua, Leahy recorded details and impressions of events, personalities, and U.S. policies in a personal diary. My study analyzed Leahy’s Nicaragua diary by applying new techniques in textual analysis pioneered by diplomatic historian Frank Costigiola. The study focused on three themes: how Leahy responded to the challenges he faced at Corinto; his views on the people, politics, and society of Nicaragua; and his assessment of U.S. strategy and policy in the strife-torn nation. The analysis revealed a surprisingly complex and conflicted personality striving to balance empathy and moral rectitude against ethnocentrism and a powerful sense of duty. My Leahy study also introduced an important new source: a typescript version of Leahy’s diary recently discovered at the U.S. Naval Academy Museum. When analyzed alongside diary volumes available from other collections, the USNA Museum typescript further deepens our understanding of Leahy and his times. I presented my findings on Leahy’s diary at the Society for Military History annual meeting in April 2018, where they were well-received. I was honored when the Naval History Foundation asked me to present the paper again as part of their “Five Star Seminar” in May. The seminar featured scholarly and professional discussions on the four U.S. Navy officers that achieved FADM rank during World War II. The academic journal Federal History selected my Leahy paper for publication. Entitled “By the Force of Our Arms”: William D. Leahy and the U.S. Intervention in Nicaragua, 1912,” the article will appear in August 2019. During the past academic year, I continued on the editorial board of the online primary source reader Voices and Visions (URL: http://vandvreader.org/). As I reported previously, we designed this web site as a teaching and learning resource for the history U.S. foreign relations. Since my last report, the scope of the site has grown steadily; it now features twenty articles from eighteen scholars. The Naval Heritage Fellowship at USNA helped to chart the course for my next academic “tour of duty.” I am excited to start a new position at the University of Wisconsin-Madison in August 2018. I will be the Assistant Director of the Center for the Study of Liberal Democracy at UW-Madison. The position is equivalent of an assistant professorship, with teaching and administrative duties as well as time for my ongoing scholarly projects. Many thanks to the Class of ‘57 for helping to set the stage for this next adventure. Rental costs in the Annapolis area have increased dramatically in recent years. As a result, future Class of ‘57 Fellows will likely be challenged to find suitable living arrangements. Safe rental housing in good repair is difficult to find for less than $2400 per month (about $30K per year)—a rent payment that consumes nearly 55% of the annual fellowship income. Fellows with young families and no outside source of income may be particularly hard-pressed. In view of this situation, the Class of ‘57 might consider augmenting the fellowship to help address the rise in housing costs. My experience with the USNA History Department has been ideal—teaching midshipmen, achieving a productive research agenda, and working with many wonderful colleagues. The Department welcomed me aboard two years ago with much enthusiasm and gave me a congenial home. I am grateful to the many faculty friends I leave behind and wish them the best in future scholarly endeavors. They made my stay at USNA a uniquely rewarding experience, both personally and professionally. In closing, I especially wish to thank the Class of 1957 for the incomparable opportunity offered by the Post-doctoral Fellowship in Naval Heritage. The beautiful desk lamp gifted me by the Class serves as a constant reminder of two enjoyable and rewarding years spent on the “banks of the Severn.” Just as USNA was so formative to my career as a naval leader, I value tremendously this second “tour” at Annapolis for helping to establish my credentials and reputation as a naval scholar. I cannot thank the Class of ‘57 enough for honoring me with the fellowship. No CV available at present. This year has been productive in terms of scholarship and teaching. I presented my research at two academic conferences. In September 2015, I presented, “Matthew Fontaine Maury: Pathfinder” at the McMullen Naval History Symposium in addition to chairing and commenting on papers from another session. In April 2016, I presented the paper, “Savage Coasts: Hydrographic Illusions and the Boundaries of the U.S. Navy’s ‘Empire of Science and Commerce,’ 1838-1842 at the Annual Meeting of the Society for Military History in Ottawa, Ontario, Canada. Both papers were well-received, and I gathered useful feedback as I move forward on my book manuscript from which both of the papers were taken. In October, I received news of an advanced book contract with the University of North Carolina Press, a top academic press in the field of military history, for my book titled Controlling the Great Common: The U.S. Navy, the Marine Environment, and the Cartography of American Empire in the Nineteenth Century. The contract was the culmination of nearly two years of extensive revisions, rewrites, and additional research that I conducted while under the fellowship. I completed two journal articles: one on Matthew Fontaine Maury was published in the May issue of The International Journal of Maritime History and the other, about the whaleship Charles W. Morgan, will be published in the September 2016 issue of The New England Quarterly. Finally, I completed an essay chapter titled “War and Environment” for the edited anthology The Routledge History of Global War & Society, which will be published in 2017. I considered my most important work to be in the classroom. In the fall and spring semesters, I taught each one section of HH104: US Naval History. In the spring semester, I moved away from a paper assignment that centered on analyzing historical examples of tactical leadership in naval combat toward a new assignment, in which students worked in groups to revise and rewrite sections of the Wikipedia.org entry on the Battle of Santiago de Cuba. The entry was not comprehensive, and I took this as an opportunity for the midshipmen to do research that would be digitally published and thus serve to promote knowledge of American naval history in the public domain. It also presented an opportunity to discuss the promises and perils of Wikipedia as a source. I am now taking the last steps toward posting the students’ work to Wikipedia. Altogether, the last fellowship year along with the preceding one provided me the opportunity to take important steps toward the publication and presentation of my scholarship in several forums and to hone new assignments in the classroom, both of which led to an offer of a tenure-track appointment as an assistant professor of history at Southern Connecticut State University beginning in the Fall of 2016.
security and war-fighting, and intelligence lessons-learned. Ph.D., Military History, With Honors, 1983). Dr. Rosenberg began working as a naval historian while a freshman at American University. the National Air and Space Museum. Chief of Naval of Operations in establishing the Long Range Planning Group (Op-00X) in 1980.
continue to assist senior leaders in undertaking major strategic initiatives. Force and Diplomacy as a tenured professor at Temple University, 1990-2000. War College in 1996-2003, Rosenberg simultaneously served as a special assistant for long range planning to Vice Chiefs of Naval Operations Admirals Donald J. Pilling and William J. Fallon. In addition, in 2001-2002, Rosenberg served in the Navy Operations Group/DEEP BLUE under then-Rear Admiral James Stavridis in the first year of the war on terrorism. In 2003-2004 he led Task Force History under Vice CNO Fallon capturing the record of Navy operations in Operation IRAQI FREEDOM. He completed civilian government service as a senior professor at the Naval War College’s Center for Naval Warfare Studies and Fleet Seminar Program detailed to Washington, D.C.
Security, received front page coverage in The Washington Post in May 1983 and was among the accomplishments that led to Rosenberg being the only military historian to be awarded a five-year (1988-1993) John D. and Catherine T. MacArthur Fellowship (the so-called “genius” award). Rosenberg is also the author of ten articles and book chapters on Admiral Arleigh Burke, Chief of Naval Operations, 1955-1961. A multi-volume collection of the papers of Admiral Burke and the full life and times biography of the admiral are among his current major personal scholarly projects. Under Secretary of the Navy Richard Danzig appointed Rosenberg a member of the Secretary of the Navy’s Advisory Committee on Naval History in 1995. Elected chair at his first meeting, Rosenberg was twice reappointed and served as chair through 2006. He has also served as a member of the Department of the Navy Declassification Oversight Committee, 1997-2006, as a member of the Board of Directors of Naval Intelligence Professionals, 2003-2012 and as member of the Committee on the Theodore and Franklin D. Roosevelt Book Prize in Naval History, 2009-2012. He is currently a member of the Board of Directors of the Naval Historical Foundation, and has served as Chair and Moderator of the Submarine History Annual Seminar for the U.S. Naval Submarine League since 2013. In 1994, the Director of Naval Intelligence, RADM Ted Sheafer, directed LCDR Rosenberg lead the Operational Intelligence Lessons-Learned Project at the Office of Naval Intelligence in Washington. This project resulted in a 1998 flag-level symposium, two articles, and the 2005 Naval Institute Press book, The Admirals’ Advantage that Rosenberg edited and coauthored with principal author LCDR Christopher Ford. The Admirals’ Advantage was reprinted as a paperback and E-book in 2014, with a new foreword by Admiral Jonathan Greenert, the Chief of Naval Operations. Reserve Intelligence Command, as outstanding large unit. In 2005 CAPT Rosenberg became the first Assistant Commander of ONI for Strategic Planning and Mobilization Readiness. As ONI’s senior reservist he was responsible for linking reserve mobilization readiness with contingency planning. In 2007-2009, he commanded ONI 0466 in support of ONI’s Collections Office and CNO N2 International Programs, and was also Officer- in-Charge of a Special Analysis Project for the Director of Naval Intelligence and ONI’s Farragut Technical Analysis Center. His last reserve assignment prior to retirement was as the ONI China Senior Intelligence Officer-Reserve. He has completed all qualification requirements for Information Dominance Officer designation. Senior Mentor for Commander 7th Fleet N2 in Exercises TERMINAL FURY 09 and 10. Marine Corps Achievement Medal (two). When Professor Robert Love called me on 8 April 2015 to offer me the 2015-2016 Class of 1957 Distinguished Chair, the offer satisfied a long-standing ambition to test my knowledge and teaching abilities against Naval Academy midshipmen. It had been two decades since I had last taught an undergraduate course, however. Instead, I had taught graduate students at Temple University from 1990 through 2000 (where I supervised four doctoral dissertations) and the University of Maryland (where I served on the dissertation committees of two USNA History Department Permanent Military Professors), and I served as the Admiral Harry Hill Professor of Maritime Strategy at the National War College from 1996-2003 where my students and advisees included the current Chief of Naval Operations and two current four-star Combatant Commanders. The challenge of teaching naval history to late millennial midshipmen, who were not even school-age on September 11, 2001, was indeed significant, yet ultimately proved exceptionally satisfying and rewarding. The call from Professor Love came too late in the academic year for my teaching schedule to be included in fall semester 2015 registration. As I result, I could not follow the usual semester assignment of the Class of 1957 Chair, teaching one section of HH104, American Naval History, for plebes, and one section of a naval history-related elective course for upper-classmen. Instead, I taught two sections of HH104 in fall 2015 and two different upper-class electives in spring 2016. My contract was arranged through my parent institution, the Intelligence Analyses Division of the Institute for Defense Analyses (IDA), a Federally Funded Research and Development Center. I am most appreciative of the willingness of my division director at IDA, retired RADM Rick Porterfield, to support my acceptance of this appointment. The contract between USNA and IDA took additional time to finalize and so I was not able to get started on full-time preparations for teaching until early August, three weeks before classes started. Despite the late start, the USNA History Department was most supportive in helping me regain my footing as an undergraduate professor. The chair, CAPT C.C. Felker, set me up with a Tuesday-Thursday teaching schedule both semesters, with my first class in Period 9, (1055-1110) and second in Period 10, (1330-1445). It was a great help not having a Period One class at 0755 Monday-Wednesday-Friday, particularly since I undertook an 80 mile round-trip commute from my home in Arlington, Virginia. Given the shortage of parking on the Yard due to the closing of the club parking lot for garage construction, I usually arrived at the Naval Academy no later than 0715 on the two to four days each week I made the trip. Despite storms and a major blizzard, I only had to cancel one class section the entire academic year, and this one was a result of illness. A number of history faculty, particularly CAPT Felker, CAPT Jeff Macris, CDRs Chris Rentfrow and Davin O’Hora, Professors Fred Harrod, Ernest Tucker, Richard Abels, Miles Yu, Marcus Jones and Nancy Ellenberger, and the Class of 1957 Post-Doctoral Fellow, Dr. Jason Wirth Smith were most generous with their time and advice. As noted, teaching late millennials was a considerable initial challenge. This was compounded by the fact that I was teaching two sections of first semester Plebes, who the dean of faculty characterized to me as a “whole different species” from other midshipmen. These freshmen were struggling to adapt not just to college but to life as a prospective officer in the Navy or Marine Corps. Their distractions were many, including Calculus I and Chemistry I, sports, and military discipline. The unique environment of Bancroft Hall offered additional challenges as I learned from History colleagues and midshipmen that I was contending with long-standing midshipmen study guides to HH104 that often abbreviated or were mistaken about information I was trying to convey in my sections. The three greatest challenges, however, were (1) the multiple requirements that HH104 was expected to meet (introduction to college history; remedial education in U.S. history; remedial education in the origins and course of American wars and conflicts; and introduction to U.S. naval history); (2) the lack of common cultural reference points (movies, television, music, books) between the Plebes and the professor which made the use of helpful analogies difficult; and most important, (3) the significant lack of preparation in either American or World History as well as geography on the part of 40-60 percent of the 29 midshipmen in my two sections. I was surprised and distressed at the gaps in basic knowledge I found myself working to fill in. As a retired Captain (Special Duty, Intelligence) in the Navy Reserve, I fell back on the intelligence officer’s briefing standby—PowerPoint slides—to serve both as a teaching tool and also as a midshipman reference. Each lecture was filled with pictures and maps as well as a slide containing critical conceptual takeaways, and a list of names, ships, battles and other and events that might be asked about on examinations. Professor Fred Harrod provided me with a map exercise that I handed out early on and then gave a quiz based on it in order to strengthen geographical knowledge. I posted all my lectures on Blackboard in the Academy MIDS IT system after I had given them, occasionally amending them to ensure that points that were not fully discussed in class were better covered. Davin O’Hora and Jason Smith generously shared slides they had used in teaching the course. This meant that I had a successful foundation of both images and ideas on which to build. I also followed CDR Chris Rentfrow’s approach to assignments (two hour examinations, a journal article review, a biographical research paper and a comprehensive final examination) which generally worked well. Despite the many dimensions of the course noted above, I particularly emphasized the importance of administration and organization, the Navy’s evolving missions, the critical role of technology, and the important but often neglected significance of command, control and, intelligence. I also made sure that I left two to three weeks in each section to cover the period 1945-2010, allowing me to make use of my experience and deep expertise in Cold War and post-Cold War naval history. The Fall Semester generally ended well. Teaching evaluations were positive (Midshipmen teaching evaluations of my teaching numbered 13 Excellent, 12 Good, 2 Fair and 2 Poor) but what was most satisfying was that almost all the Plebes, including about a quarter of each class that had gotten D’s or F’s at six or 12 week grade reporting had improved enough to get B’s and C’s. Some, who did well on papers, still struggled to write coherent essays for the final exam but most significantly improved. One of the midshipmen even signed up to be a history major. Unfortunately, one Plebe, an aspiring Marine officer, who had struggled through the semester, decided to almost wholly plagiarize his biographical research paper on General John Lejeune from readily identifiable online sources. After the department Honor faculty representative, CDR O’Hora, and I confronted him with the abundant evidence (he had ignored the readings I had given him, provided inappropriate citations for sources and then reprinted the Wikipedia entry on General Lejeune and an online Marine Corps Gazette article on Lejeune’s leadership essentially verbatim without citations), he had difficulty understanding and admitting to what he had done. As a result of this plagiarism charge, I had the opportunity to experience the Midshipman Honor System first hand. I was most impressed with the system’s rigorous, objective approach to the case and the performance of individual midshipmen investigating the charges and the court proceedings that led to the midshipman charged being found guilty and referred to the Commandant. During the spring semester, I taught two entirely new upper-level history electives, neither of which had apparently ever been done at the Naval Academy before. Both were courses I had desired to build and teach for some time. The basic approach to teaching I employed in both courses was to emphasize reading and writing using primary sources as well as cutting edge secondary works as required and recommended readings, and presenting two oral reports in class, one on a cutting edge monograph and the other on a recently declassified document, both chosen from a list in the syllabus, followed by a written report numbering no more than 2-3 single-spaced pages. The other writing requirements were a short research paper based on primary sources, and a multi-part single question take-home final examination. In-class presentations by midshipmen were designed to spark both competition and discussion, which the instructor would use as context for emphasizing specific historical points. The first course, HH386G, War at Sea in the Nuclear Age, was essentially a naval history of the Cold War focusing on three fundamental themes: the impact of nuclear weapons on warfare, especially naval warfare; the impact of nuclear propulsion particularly in attack and ballistic missile submarines (SSNs and SSBNs) in the U.S., British and Soviet navies; and the relationship of both nuclear weapons and nuclear propulsion to the development of naval tactics, operations and strategy with particular emphasis on the creation of the U.S. Navy’s Maritime Strategy in the 1980s. Eight midshipmen took this course and it was run as a colloquium where only a few instructor lectures were presented. Midshipmen presentations took up about thirty percent of class time with guided discussions taking up most of the rest. Four guests spoke to the course: retired VADM Jim Sagerholm and CAPT Jack O’Connell, both from the USNA Class of 1952, spoke on their experiences in submarines, to include Cold War attack submarines including SSNs and diesel boats, Regulus cruise missile submarines and the first generation of American SSBNs; prolific author Norman Polmar spoke on Surprise in the Cold War, looking at the many ways the Soviet Union surprised U.S. intelligence and the U.S. Navy; and retired RADM Thomas Brooks, Director of Naval Intelligence, 1988-1991, spoke on how naval intelligence helped make the Maritime Strategy of the 1980s possible. Midshipmen course evaluations were most satisfying, with seven grades of Excellent and one Good. Most satisfying was midshipmen performance, all A’s and B’s. It was clear from class discussion and the evaluations that this intensive engagement with the formerly classified details of modern naval operations and strategy was a revelation to the entire class. The second course was HH386H, History of Naval Intelligence and Information Dominance. This course looked at the evolution of intelligence in the 20th century, with emphasis on World War II and the Cold War. While required readings focused on intelligence in support of naval operations and strategy and on communications and the command and control of naval forces, the course itself put naval intelligence into the larger context of the history of U.S., British and Soviet national intelligence. Midshipmen oral presentations took up about half the class time because eighteen midshipmen chose to stick with the course despite its heavy reading and writing requirements. This resulted in thirty-six oral reports (half on cutting edge monographs on intelligence history, half on recently declassified documents from the Navy, the National Security Agency, the National Reconnaissance Office, the Central Intelligence Agency and National Intelligence Estimates). Rather than informal presentations as in HH386G, midshipmen in this class found that Powerpoint presentations better organized their thoughts. This resulted in a impressive collection of briefings that were later used as source material for final examination citations. There were three guest speakers: Norman Polmar spoke on his book on Project AZORIAN, the CIA operation to raise a Soviet missile submarine from the North Pacific in the 1970s; RADM Tom Brooks repeated his lecture given in HH386G on how naval intelligence helped make the Maritime Strategy of the 1980s possible; and retired RADM Rick Porterfield, USNA 1972, Director of Naval Intelligence, 2000-2005, spoke on how 9/11, the War on Terror and the U.S. wars in Southwest Asia changed naval intelligence. This class was composed on nine first class midshipmen, eight second-class midshipmen, and one third class midshipman. As graduation drew closer, a number of the first class midshipmen turned their attention elsewhere, resulting in less engagement and declining grades. Final grades were still approximately half A’s and half B’s although two C’s were assigned to first classmen who clearly would have done much better if they had remained engaged. Midshipman teaching evaluations were most satisfying: sixteen of eighteen midshipman completed evaluations; fourteen gave the course an evaluation of Excellent (one midshipman crossed out “Excellent” and wrote “Extraordinary”) while two gave the course an evaluation of “Fair” because of all the reading. A good number of the evaluations were extremely positive, noting that the intelligence course was both unique and immensely valuable as a professional resource preparing them for their commissioned service. Second semester challenges teaching upper classmen (other than disengaged first classmen noted above) were twofold. First, most midshipmen in both courses did not remember very much naval history from HH104. Remedial lectures on war at sea in World War I and the Battle of the Atlantic and World War II in the Pacific were needed as refresher sessions to put discussion of World War II intelligence into larger context in HH386H. Second, in both classes there was a clear lack of familiarity with the history of the Cold War, to include its causes and its course. Lectures reviewing Cold War history were needed to get discussion started and to put specific issues covered in both HH386G and HH386H in context. That said, it was very clear that the upper-class midshipmen in these two courses had developed serious academic skills. Most could write well (although some volunteered for extra instruction to improve and tighten their work). All had learned to manage their time well and had strong independent streaks in approaching research and argument. This generally worked well although in a number of cases in each class, grades and learning would have improved if the midshipmen had chosen to discuss subjects and sources for their short research papers with the instructor in advance. About half the midshipmen in each course were history majors. Leaving aside the issues noted above recalling HH104 naval history and Cold War history, it was clear from presentations, papers and class discussions that the Naval Academy History Department had served them well, giving them the writing, research and critical thinking skills necessary to study the past so as to be able, as one midshipmen subsequently wrote me “to read to dispel misconceptions and/or gain a true understanding of the culture of a people (or the subject of interest) in order to accomplish your goals in a more efficient manner than through trial and error.” This foundation made teaching my upper class section in the spring a true pleasure. • Lecture and paper on Intelligence and Information Warfare in the Modern (Post-1945) U.S. Navy: Needs and Opportunities. The Naval History and Heritage Command (NHHC) requested in late 2014 that I present a lecture and then prepare a paper for subsequent web publication that examines the history and historiography of intelligence and information warfare in the Navy since World War II as part of a series of talks and chapters on the Needs and Opportunities in in U.S. Naval History. I began researching this subject in early 2015 thanks to a divisional research project grant at the Institute for Defense Analyses and continued bibliographic assessment through the academic year 2015-2016. Developing my course HH386H was most helpful in this endeavor. I presented my lecture “Intelligence and Information Warfare in the Modern U.S. Navy: The Missing Dimension” at the National Museum of the U.S. Navy on 8 June 2016 at the very end of my tour as Class of 1957 Distinguished Chair. Comments on my talk were provided by Dr. Michael Warner, Historian of U.S. Cyber Command and former CIA and Director of National Intelligence historian, and retired RADM Thomas Brooks, former Director of Naval Intelligence. My talk covered the contemporary historical roots of and literature on what the Navy defines as Information Warfare (previously Information Dominance), including intelligence, surveillance and reconnaissance, cryptology, meteorology and oceanography, uses of space for surveillance and reconnaissance and communications, and general command, control, communications, computers. As a result of the comparative scarcity of historical literature and published sources on the post-WWII history of the subjects noted, I provided a general introduction to the subject and literature on what might be called naval C4ISR as a foundation for understanding developments over the last 70 years. Within the limits of security classification, I also discussed avenues for research, identified potential primary sources to include archives and oral history, and addressed possible obstacles, particularly security issues. My talk concluded that, with the exception of a small number of books, monographs and articles dealing with post-WWII naval intelligence, cryptology, meteorology and oceanography, space and command and control, the cupboard is largely bare and the obstacles to filling it formidable. The talk and extensive bibliography is being revised for online publication by NHHC in fall 2016. • Research on book, “Sailor: Arleigh Burke and the United States Navy.” One of the reasons I applied for and accepted the Class of 1957 Distinguished Chair was that I hoped to use most of my personal research time to complete research for my full life and times biography of Admiral Arleigh Burke. During the fall of 2015, when the NHHC Archives was still open to visitors, my wife, Dr. Deborah L. Haines and I were able to carry out extensive research in previously classified files relating to Admiral Burke’s immediate post-World War II service, 1946-1955. We were surprised but happy to find that more than 99% of documents in the more than thirty archives boxes were fully declassified, documenting critical subjects related to Burke and the so-called Admirals’ Revolt of 1949, his Korean War service in 1950-1951, his tour as director of Navy Strategic Plans in 1951-1954 including extensive correspondence never before opened on NATO planning in Europe and the Atlantic and Pacific and Asian planning, and his 1954 tour commanding a cruiser division in the Sixth Fleet. The NHHC Archives research room closed for reconstruction in January 2016, however. NHHC Director RADM Sam Cox and History and Archives Division head Greg Martin kindly permitted me to continue research in the secure archives space itself where NHHC archivists Glenn Gray, John Greco and John Hodges were most helpful making available the invaluable transcripts of the meetings in Admiral Burke’s office during his tour as Chief of Naval Operations. The Navy’s declassification review of those files was much less successful than that carried out on his 1946-1954 files. Essentially two thirds of the folders and boxes were “referred” to other federal agencies for review before being released to the public. No such review by other agencies has been completed. None of the files were considered classified by the declassification contractors, but they were not declassified and available for photocopying or other reproduction. My research was slowed to a crawl by the need to use my security clearances at the Institute for Defense Analyses (thanks to my IDA boss, retired RADM Rick Porterfield) to review those files. Despite this setback, the time provided by my Class of 1957 Distinguished Chair appointment was critical to my making significant progress on this major work. I would like to conclude this report with these final thoughts. The first is to emphasize the importance of midshipmen of engaging with and understanding the last seven decades of U.S. naval history. Most of my upper-classmen told me that their HH104 courses barely got beyond World War II with only the briefest of coverage of the Korean and Vietnam Wars. They found the opportunity to engage in depth with the foundational history of the current U.S. Navy invaluable. My experience teaching HH386G and HH386H engaging the Cold War and after, particularly through the use of recently declassified original documents and government internal histories were fruitful approaches to the subject. Should the Naval Academy History Department decide such an effort should be continued, I herewith offer my services to undertake the teaching of an elective that further refines the approaches to this subject in the upper-level history courses I taught in 2015-2016. Finally, I want to express my deep appreciation to the Class of 1957 and the Naval Academy History Department for affording me the opportunity to serve as the 2015-2016 Distinguished Chair. I was impressed by the professionalism and commitment demonstrated by the History faculty and very much appreciated their support and friendship and enjoyed my association with them. The experience was challenging but immensely rewarding for me as a teacher and scholar. Doctor William F. Trimble of Auburn University was the holder of our Chair of Naval Heritage for the Academic Year 2014-2015. He submitted the below to our Prez and is published here so that the Class might be aware of the events of the past year. I want to emphasize up front what a pleasure it’s been for me to have the opportunity to work at the Academy and with the service about which I’ve been researching and writing for more than 30 years. On another level, my wife and I have thoroughly enjoyed living in Annapolis. We’ve visited here often over the last couple of decades, so we already knew and liked the place, but staying here for a year has been a special experience that we will always treasure. We’re going to miss the place. During the year I taught two sections of HH104, History of the U.S. Navy and two sections of HH386F, History of Naval Aviation. All of the sections were full, with 25 students each. I find the interaction with students, especially freshmen, invigorating. The classroom keeps me on my toes and in touch with new generations of students. Naval Academy plebes are across the board better students than freshmen at Auburn, but the best students at the Academy are not better than the best students at Auburn. They’ve just been more self-selected and screened than they are at a major university in the Deep South. I’m also much impressed with the midshipmen’s dedication and commitment to the Navy and the country. To see that among young people makes me confident about the future. There may be the same feelings at Auburn, but they’re much less evident. I’ve always tried to make history courses broad-brushed exercises in critical thinking, using past events as case studies in problem solving. I hope I accomplished that in my courses at the Academy. I used a discussion approach, which demanded that students read in advance and come to class prepared to participate. It’s always a challenge, and some classes work better than others, but I vastly prefer discussions to lectures, despite what sometimes winds up being uneven coverage of the material. The students also had to do a good deal of writing in both courses—both in class with essay exams and out of class with term papers on specific topics I assigned. I tailored the term paper assignments so that Naval Aviation students, for instance, had to meet higher standards that did the plebes in Naval History. Both courses, but especially HH104, made me think about new ways of approaching my teaching at Auburn. I’ll take back with me ideas about American naval history that I can use in my freshman Technology and Civilization and upper-division World Naval History courses. I did not have as much time as I would have preferred to work on my book project—a professional biography of Adm. John S. McCain Sr. But I did find time to draft a chapter, and to continue research at the National Archives, Library of Congress, the Nimitz Library, and the Navy History and Heritage Command. I also wrote a chapter for James Bradford’s edited American naval history textbook, which will be adopted by some teaching HH104 next academic year. And I wrote a series of introductions to a Naval Institute history of naval aviation app for Apple I-pads. Last, to keep up with things at home, I helped two Auburn graduate students through their dissertations and the completion of their PhDs. I found the Academy’s history department and its faculty to be particularly collegial. They welcomed me into the culture of the Academy, freely shared with me their ideas about naval and naval aviation history, critiqued my draft McCain chapter in one of their Works in Progress, and generally made me feel at home both professionally and personally. It was especially satisfying to work closely with Jason Smith, the Class of 1957 postdoc and an exceptionally bright and enthusiastic young scholar. Finally, let me express my gratitude and thanks to the Class of 1957 for their generosity in making this appointment possible. It has been a truly rewarding professional and personal experience. Born and raised in North Alabama, Gene grew up on a small farm that raised cattle, and grew corn and soybeans. With such a background it was no surprise that he wanted to be a veterinarian. Fortunately a college course in chemistry put him on the path to becoming a historian. Gene completed both his undergraduate (BA 1984) and graduate training (MA 1987, PhD 1991) in history at Auburn University (WAAAAR EAGLE!!! Inserted by WebMeister!!) in Auburn, Alabama. Studying early American history, he wrote a dissertation on the politics of the Jeffersonian gunboat program and then spent three years teaching at Montana State University-Billings. Since arriving at TCU during the fall of 1994, Gene has been teaching U.S. survey history and undergraduate and graduate level courses on early American history. He is currently serving as the Director of the Center for Texas Studies, and holds a joint appointment with the Fort Worth Museum of Science and History as the Curator of History. Gene's major publications include the following books: The Slaves’ Gamble: Choosing Sides in the War of 1812 (Palgrave Macmillan, 2013); Nexus of Empire: Negotiating Loyalty and Identity in the Revolutionary Borderlands, 1760s-1820s (University Press of Florida, 2010); A British Eyewitness at the Battle of New Orleans: The Memoir of Royal Navy Admiral Robert Aitchison, 1808-1827 (Historic New Orleans Collection, 2004); Thomas ap Catesby Jones: Commodore of Manifest Destiny (Naval Institute Press, 2000); a revised and updated edition of Arsène Lacarrière Latour's, Historical Memoir of the War in West Florida and Louisiana, 1814-15: With an Atlas (The Historic New Orleans Collection and the University Press of Florida, 1999); Filibusters and Expansionists: Jeffersonian Manifest Destiny, 1800-1821, with Frank L. Owsley, Jr., (University of Alabama Press, 1997); Iron and Heavy Guns: Duel Between the "Monitor" and "Merrimac", (McWhiney Foundation Press, 1996); and, "For the Purpose of Defense": The Politics of the Jeffersonian Gunboat Program (University of Delaware Press, 1995). He is presently working on a study of the Battle of New Orleans, as well as an American military history textbook. Additionally, Gene has received internal research awards from Montana State University-Billings and TCU, as well as fellowships from the Henry E. Huntington Library, the Virginia Historical Society, the U.S. Department of the Navy, the U.S. Military Academy at West Point, and from the National Endowment for the Humanities. Gene is an active member of several organizations, most notably the Society for Historians of the Early American Republic-currently acting as the organization's Treasurer-and the North American Society for Oceanic History. He is also the co-editor of the Naval Institute Press’s book series “New Perspective on Maritime History and Nautical Archaeology,” and editor of the University Press of Florida book series “Contested Boundaries.” Married to Tracy, they have one son and two dogs (Mini & Archie); Gene's hobbies include watching sports (since I am no longer able to participate), cooking (as I still like to eat), traveling, and gardening. I have spent the last twenty years teaching at an exclusive private university in Texas (TCU) where we have generally affluent and moderately bright students. In this environment, I can expect students to work hard to succeed, and push them with additional assignments when I find them slacking or not reading. I found that was not an option here at USNA; a midshipman suggested to me that once I provided them with the syllabus, they allocated their time and schedule based on the assignments for all of their classes. When I made an additional assignment, they were frustrated and the quality of their work lapsed. I also learned that I had to reduce the number of pages for the weekly reading assignments. I did assign several out-of-class writing projects, e.g., term paper, short essays based on reading, etc., which has also become required in all history classes. I found that their writing, while technically sound, did lack creativity and did not have the base of research that I generally expect. Students too frequently think they can do all of their research online, even when I arranged a library/archives tour to show them the base of materials at their fingertips. If my students at TCU do not do the primary research necessary in a paper, their grade will be adversely affected; had I done the same here at USNA, many of the students most likely would have failed the course. Additionally, I gave essay exams, providing them a list of essay prompts before the test and again they did not provide quality answers. From what one midshipman mentioned to me, they balance their effort across classes and as a result sometimes put less effort into an individual class so they can improve in another class. It is somewhat difficult to compare midshipmen with students at Texas Christian University. TCU is about 60% female, and my classes often have 60-70% women. Here at USNA, I had only four female students the entire year—three in my fall HH104, and one in my fall HH346. I am convinced that having women in class creates an environment of civility and usually drives male students to perform better. My Naval History was a plebe class taught to sections of 18 at the Academy, while my freshman survey American History classes at TCU often have as many as 40. The enrollments in my upper division courses were 18 during the fall and 12 during the spring, and included students from disciplines across the yard; my upper level TCU classes are approximately the same size. In these classes, the midshipmen performed a bit lower on exams, but did better on out-of-class writing assignments. Although they do not conduct deep research, they know how to write papers because they have done more research papers than TCU students. I also believe USNA history students received more feedback from their professors on those papers than TCU students receive. This attention is a result of the dedication of Academy faculty to working closely with every student while at TCU contact between undergraduate students and faculty members depends more on the student seeking out the instructor to discuss research materials and comments on papers returned. One of the most revealing things, USNA history majors do not take as many advanced history courses as TCU history majors. Students who enroll in my TCU American Revolution class may have also taken classes in British, French, Spanish or Latin American history of the period. This breadth, created by the numbers of hours required by the major, give TCU students a stronger background in the subject field than midshipmen. In conclusion, I find that the midshipmen are bright but are often weak in history, geography, and current events. They are willing to work, but often no harder than necessary given their other assignments. They also appreciate special attention, support, and encouragement. Finally, they will rise to new levels of expectation when presented with the challenge. Attendance at HH104 “Charm School” (and leading one session) during which instructors discuss strategies for teaching the course, potential assignments, themes to be developed, etc. This proved beneficial to me and to the other rotational officers. Based on my wide reading in American history, I was often able to provide broader context for Naval History. Other activities include attending department “Works in Progress” sessions, reading article manuscripts for two colleagues, serving on the student prize committee, and on the committee to select the 2014-15 Class of 1957 Distinguished Chair in Naval Heritage. 1. McMullen Keynote Address on Naval History: “Brown Water, Blue Water: The Naval Battle for New Orleans.” McMullen Naval History Symposium, United States Naval Academy, Annapolis, Maryland, September 19-21, 2013. 2. Presentation, “The Slaves’ Gamble: Choosing Sides in the War of 1812” to the Capital Historical Society, Washington, D.C., May 21, 2014. 3. Presentation, “The Slaves’ Gamble: Choosing Sides in the War of 1812” to the Friends of the Maryland State Archives, Annapolis, Maryland, May 12, 2014. 4. Presentation, “The Slaves’ Gamble: Choosing Sides in the War of 1812” for the First Saturday Program at Andersonville National Historic Site, Andersonville, Georgia, May 3, 2014. 5. Presentation, “British Destruction in the Chesapeake: The War of 1812,” to the Historical Society of Kent County, Chestertown, Maryland, April 25, 2014. 6. Presentation, “The Slaves’ Gamble: Choosing Sides in the War of 1812” to the Historical Society of Kent County, Georgetown, Maryland, April 24, 2014. 7. VADM Ralph L. and Frances Shifley Lecture at the U.S. Naval Academy Museum: “The Slaves’ Gamble: Choosing Sides in the War of 1812.” Annapolis, Maryland, April 23, 2014. 8. Presentation, “The Slaves’ Gamble: Choosing Sides in the War of 1812” at Sotterley Plantation, Solomon’s Island, Maryland, April 13, 2014. 9. Presentation, “The Slaves’ Gamble: Choosing Sides in the War of 1812” at the University of Toledo, Toledo, Ohio, April 8, 2014. 10. Presentation, “The Slaves’ Gamble: Choosing Sides in the War of 1812” at Youngstown State University, Youngstown, Ohio, April 7, 2014. 11. Keynote Address, “The Slaves’ Gamble: Choosing Sides in the War of 1812” at the FSU History Graduate Student Conference, Florida State University, Tallahassee, Florida, March 29, 2014. 12. Presentation, “The Slaves’ Gamble: Choosing Sides in the War of 1812” at Valdosta State University, Valdosta, Georgia, March 27, 2014. 13. Presentation, “The Slaves’ Gamble: Choosing Sides in the War of 1812” at Gunston Hall, Mason Neck, Virginia, March 9, 2014. 14. Presentation, “The Slaves’ Gamble: Choosing Sides in the War of 1812” at Gettysburg College, Gettysburg, Pennsylvania, February 18, 2014. 15. Presentation, “The Slaves’ Gamble: Choosing Sides During the War of 1812” to the Department of History, University of South Florida, Tampa, Florida, November 25, 2013. 16. Chiles Florida History Lecture: “The Slaves’ Gamble” Choosing Sides During the War of 1812,” at Florida Southern College, Lakeland, Florida, November 21, 2013. 17. Presentation, “The Slaves’ Gamble: Choosing Sides During the War of 1812” to the Alexandria Historical Society, Alexandria, Virginia, October 23, 2013. 18. Presentation, “First Great American Victory: New Orleans, the Gulf Coast, and a New United States” to the Michigan War of 1812 Bicentennial Commission’s “Remember the Forgotten Conflict: Reflections of the War of 1812” Conference, Detroit, Michigan, October 14, 2013. 19. Presentation, “The Slaves’ Gamble: Choosing Sides During the War of 1812” to the 17th National War of 1812 Symposium, Baltimore, Maryland, October 5, 2013. 20. Banner Lecture: “The Slaves’ Gamble: Choosing Sides During the War of 1812” at the Virginia Historical Society, Richmond, Virginia, September 4, 2013. 21. Presentation, “The Slaves’ Gamble: Choosing Sides During the War of 1812” to the St. Michaels Maritime Museum, St. Michaels, Maryland, August 24, 2013. 22. Presentation, “The Slaves’ Gamble: Choosing Sides During the War of 1812” to the Niagara Historical Society, Niagara-on-the-Lake, Ontario, Canada, August 15, 2013. 23. Presentation, “The Slaves’ Gamble: Choosing Sides During the War of 1812” to the USS Constitution and the War of 1812 National Endowment for the Humanities, Landmarks of American History and Culture Teacher Education Workshop, Boston, Massachusetts, August 7, 2013. 24. Presentation, The Slaves’ Gamble: Choosing Sides in the War of 1812 to the Southern Maryland School District Social Studies Teachers, Solomon’s Island, Maryland, August 5, 2013. 25. Presentation, The Slaves’ Gamble: The British attack against St. Michaels, Maryland at the Chesapeake Maritime Museum, St. Michaels, Maryland, July 27, 2013. In addition to these many public presentations, I secured a contract for my co-authored U.S. military history textbook with Oxford University Press, which will have a naval dimension unlike many military textbooks. In my proposal I included an acknowledgement to the Class of 1957 and to my position as Chairholder; I will repeat this claim when the book is published, most likely during the fall of 2016. I also completed several book chapters and a magazine article on the September 1814 British naval attack against Fort Bowyer on Mobile Bay. I truly enjoyed working with those colleagues in the History Department whom I only knew by their reputation. I am very impressed with the scholarship and commitment of this group. The USNA History Department is a high-energy, dedicated, professional group of scholars and teachers who take their work seriously without taking themselves seriously. With remarkably few exceptions, there is a genuine sense of a shared mission within this department that is too often absent in departments elsewhere. I am honored to have been part of this academic family for the last ten months. In addition, I enjoyed meeting and getting to know several members of the Class of 1957. I was able to attend two class luncheons, and attended a class tailgates during football season. Unfortunately, no class members were able to visit my classes during the year. Reviewed seven books for scholarly journals, published four on-line articles for the National Park Service, and evaluated three manuscripts for academic publishers. Additionally, I served as Vice President of the North American Society for Oceanic History and as Treasure of the Society for Historians of the Early American Republic. I continued working with graduate students at TCU, my home institution, including administering PhD qualifying examinations to one student, serving on the examination committee of one student, and reading dissertation chapters for one of my advisees and another student. Graduate students seem to find you wherever you go. Finally, I want to thank the Class of 1957 for its generosity. The creation and funding of this Chair, and of the Post-doctorate Fellowship, have made, and will continue to make, a meaningful and substantial contribution to the Naval Academy’s academic excellence. Highly recommended as a uniquely promising scholar, Jon intends to use the Class of 57 Fellowship to further his research and transform his dissertation into a manuscript for publication. Mr. Hendrickson submitted the below report on his year as our Research Fellow in Naval History to our Class Prez. It is published here in order that all might have a better idea as to what our Class Gift is producing. My year as the Class of 1957 Postdoctoral Fellow was a great success on many levels. In the area of research, I prepared my dissertation, "'We are Now a Mediterranean Power': Naval Competition and Great Power Competition in the Mediterranean, 1905-1914," for publication, and it has just been accepted by the Naval Institute. They plan to publish it in the Spring of 2014, bringing that project to a close a hundred years after the events it described came to an end. The contacts I've made at the Naval Academy, in particular, the Class of 1957 Chair, James Bradford, have been instrumental in the success of this project. I have also conducted research on a pair of events that I encountered while writing my dissertation. The first, the court martial of Admiral Ernest Troubridge, forms the focal point of an article that I am currently in the process of rewriting. The basis of this rewrite came after the terrifically constructive criticism I received from the Department's Works in Progress forum. The help I received there set me on a very productive path. I also used the time granted by the fellowship to get my ducks in a row on another article -- that is, reviewing documents, looking into secondary literature, and other work -- on the role the Mediterranean played in the policies laid down by Theophile Delcasse, a French statesman that served as both the Foreign Minister and Naval Minister in the early 20th Century. And, most recently, James Bradford asked me to contribute a chapter to "America, Sea Power and the World," detailing how the US Navy reacted to the European naval races of the early 20th Century. I also had the opportunity to teach two new classes. In the fall, I taught a group of fresh plebes the History of the US Navy, which was a terrific experience. In addition to the challenge of teaching a new class, which is always a challenge I enjoy, I got to watch a class of young people adapting to their new environment and learn how to fit themselves into the world of the Academy. It was an entertaining class, and I hope the plebes learned as much as I did. In the spring, I taught an upper division class on the First World War, which focused mostly on military history. In this class, I had the opportunity to, for the first time, teach history majors. This was another great experience for me, especially when one considers that the majority of my students were First Class Midshipmen, wrapping up their time at the Academy and preparing to enter the Fleet or the Marines. I was surprised by the lack of "senioritis," the disease that usually affects people in the last term of their college career. The class was pretty lively and interested in the subject, and any slowness was a result of my inexperience. I took the opportunity to try a new method of teaching a course, turning over a great deal of the class to students and allowing them and their research to drive the class, rather than writing a series of lectures. I learned a great deal from the class, and, if I have the opportunity to teach it again, those students will benefit from the hard work and lessons I learned from the Mids in that class. Overall, my experience here at the Academy this year is not one I would trade for any other. Professionally, my research and teaching have improved dramatically since my arrival. Personally, I had a great time and made new friends in the faculty, and I look forward to seeing how the careers of the Mids I taught unfold. I had the opportunity to take in several sporting events -- particularly football games, but some boxing and basketball, too -- and see a little of life outside the classroom and Bancroft for Midshipmen. While only time will tell if I'll do the Class of 1957 proud by being the first Class Fellow in Naval History, I can safely say that I'll never forget the time their support gave me here in Annapolis. Our Chair was occupied for the 2012-2013 academic year by James C. Bradford. His resume is posted below. 1973-1981 United States Naval Academy, Assistant Professor: Taught Naval History: Ancient to the Modern World, Colonial America, U.S. 1763-1840, Western Civilization. A Companion to American Military History, ed. Blackwell, forthcoming, 2009.
International Encyclopedia of Military History, 2 vols., ed. Routledge, 2006. Atlas of American Military History, ed. Oxford University Press, 2003. Quarterdeck and Bridge: Two Centuries of American Naval Leaders, ed. Annapolis: Naval Institute Press, 1997. 1880-1930, ed. Naval Institute Press, 1990. Chinese language ed., 1998. 1840-1880, ed. Naval Institute Press, 1986. Attendance at HH104 “Charm School” (and leading two sessions) during which instructors discuss strategies for teaching the course, potential assignments, themes to be developed, etc. confirmed my belief that there exists a need for a textbook designed specifically for the course. I have subsequently outlined the concept for “America, Sea Power, and the World,” design a table of contents with “sidebars” on naval officers and technological developments for each of the twenty two chapters, engage authors (drawn from department instructors and Class of 1957 Chairholders), and submit a proposal to the Naval Institute Press. Other activities include attending department “Works in Progress” sessions, reading book manuscripts for two colleagues, consulting with the Naval History Symposium Committee concerning session chairs, and discussing a variety of topics within the profession with colleagues. One of the manuscripts that I read was by Jon Hendrickson, the Class of 1957 Fellow. It was his dissertation on naval power in the Mediterranean in the decades before World War I. I advised him to make some revisions to prepare it for submission to a publisher then asked him to submit it for publication in a series that I co-edit for the Naval Institute Press. Hendrickson did so, I wrote a formal evaluation for the press, suggested outside reviewers, and Hendrickson has been issued a contract for publication. Based on my assessment of his manuscript and conversations concerning history and teaching, I have written several letters of recommendation to support his job applications. Member of the program committee for the “From Enemies to Allies: An International Conference on the War of 1812 and its Aftermath” hosted by the Academy, 12-15 June 2013 under the sponsorship of the Naval Academy, the Naval History and Heritage Command, and the Star Spangled 200 Commission of the State of Maryland. Gene Smith, my successor as the Class of 1957 Chair in Naval Heritage; Andrew Gordon, who held the chair, 2009-2011; and I each chaired a panel at the conference, plus each of them presented a paper. Member of the group planning an interdisciplinary course on the War of 1812 for academic year 2013-2014. Reviewed three books for scholarly journals in which I was identified as a Naval Academy faculty member; evaluated manuscripts for two academic publishers, and chaired the Endowment Committee of the North American Society for Oceanic History which presented recommenda- tions that were adopted at the organization’s annual meeting-conference in May 2013. Continued working with graduate students at Texas A&M University, my home institution, including administering PhD qualifying examinations to four students, evaluating one M.A. thesis and two PhD dissertations including an oral defense of each, and conducting dissertation proposal defense conferences with two PhD candidates. Our Chair was occupied for the 2011-12 academic year by Craig L. Symonds. Professor Symonds is a Professor Emeritus of American History at the Academy where he taught for 30 years and served as History Department Chair. The first person to win both the Academy's Excellence in Teaching Award and its Excellence in Research Award, he is the author of 12 books, including prize-winning biographies of Joseph E. Johnston, Patrick Cleburne, and Franklin Buchanan as well as The American Heritage History of the Battle of Gettysburg. Besides the Civil War at Sea, his two most recent books are Decision at Sea: Five Naval Battles That Shaped American History, which won the Theodore and Franklin D. Roosevelt Prize in 2006, and Lincoln and his Admirals: Abraham Lincoln, The U. S. Navy, and the Civil War, which won the Barondess Prize, the Laney Prize, the John Lyman Book Award and the Lincoln Prize for 2009. Any who are familiar with Dr. Symonds’s books or have heard him speak will appreciate how fortunate we are to have secured his services. If the invitation should come to sit in on one of his lectures you’ll want to accept. Navy Professor Schroeder assumed the Chair in the Fall of 2010 as the fourth occupant. His biography, while a bit terse, perhaps, is presented below. M.A. and Ph.D., University of Virginia, 1967 & 1971. 19th Century U.S. History – Political, Diplomatic, Maritime & Naval. U.S. History Survey; Early American Republic; Era of Civil War and Reconstruction; U.S. Maritime History; History of the American Presidency. Former UWM Chancellor; Current Member, Board of Curators, Wisconsin Historical Society. Mr. Polk’s War: American Opposition and Dissent, 1846-1848. Madison: University of Wisconsin Press, 1973. Shaping a Maritime Empire: The Commercial and Diplomatic Role of the American Navy, 1829-1861. Westport, CO.: Greenwood Press, 1985. Matthew Calbraith Perry: Antebellum Sailor and Diplomat. Annapolis: U.S. Naval Institute Press, 2001. (Winner of the Theodore and Franklin D. Roosevelt Prize for Naval History, 2002. Commodore John Rodgers: Paragon of the Early American Navy. Gainesville, FL: University Press of Florida, 2006. I will be heading down the road this weekend and returning to Wisconsin. It has been a wonderful year for me and I want to thank the Class of 1957 for making this opportunity possible. I have enjoyed immensely teaching the midshipmen. They are a challenging and stimulating group. Having gotten to know some of them, I return to Wisconsin feeling very good about the future of the Navy's leadership. I also made very good use of the Nimitz Library. I was able to finish the research (and another rough draft) of my book on the U.S. Navy in the Pacific between 1815 and 1890. I also want to thank you and your fellow Class of 1957 members for the way that I was welcomed and treated during the year. On various occasions, I was invited to games, ceremonies, dinners and golf games. I appreciated those invitations because they allowed me to get to know some members of the class. I return to Wisconsin impressed by the generousity the class has shown to the History Department and the Academy over many years. Take care . . . and BEAT ARMY! The third occupant was Professor Ronald Spector. He completed his appointment in the Summer of 2010. His biography, somewhat more concise than the earlier occupants, is contained in the paragraphs below. RONALD SPECTOR (Ph.D, Yale) has been Professor of History and International Relations in the Elliott School of International Affairs, George Washington University since 1990. He previously taught at the University of Alabama and at LSU. Besides his recent book, In the Ruins of Empire, he is the author of three other works. His best known books are Eagle Against the Sun: The American War With Japan, which was a main selection of the Book of the Month Club and winner of the Theodore and Franklin Roosevelt Prize in Naval History and After Tet: The Bloodiest Year in Vietnam. His book, At War at Sea: Sailors and Naval Combat in the Twentieth Century received the 2002 Distinguished Book Award of the Society for Military History. Spector has been a Fulbright Lecturer in India, Israel and Singapore and Visiting Professor at The National War College, the Army War College, Keio University in Tokyo and Princeton. Spector entered the U.S. Marine Corps as an enlisted man in 1967 and retired as a Lieutenant Colonel in the Marine Corps Reserve. He served in Vietnam during 1968-69 and in various active duty assignments during the Grenada/Lebanon incidents in 1983-84. He also served on the adjunct faculty of The Marine Corps Command and Staff College. His other government experience includes service as a historian with the U.S. Army Center of Military History and the Naval Historical Center where he was the first civilian to serve as Director of Naval History and Curator for the Navy Department. The second occupant was Doctor Gilbert Andrew Hugh Gordon. His biography is presented in the below paragraphs. Department & Address: Defence Studies Department, Joint Services Command & Staff College (JSCSC), Faringdon Road, Watchfield, Swindon, Wilts SN6 8TS, U.K. Title of Present Post: Reader in Defence Studies, King’s College London. University of Wales, Aberystwyth, BScEcon (Hons), International Politics (2:1), 1977. Research Consultant, Cabinet Office Historical Section, July 1984 - October ’96. Honorary Fellow at Exeter University, pursuing own research, November ’96 - August ‘97 . Senior Lecturer (Civil Service ranking), JSCSC, Bracknell, August 1997 – August ‘00. Lecturer (KCL), JSCSC, August 2000 – September ’01. 1. The ‘Intermediate’ single-service level, with students at the slightly unequal ranks of Lieutenant RN, junior Major, and Flight Lieutenant. 2. The joint ‘Advanced’ level, for Lt Commanders, Majors and Squadron Leaders. 3. The joint ‘Higher’ level, for RN Captains/Commodores and their equivalents. At the Intermediate level, I lecture to all three Services’ Courses, but routinely teach the eight-week Intermediate Command & Staff Course (Maritime). The ICSC(M)'s purpose is "To equip officers with the background knowledge skills and attitudes required for the full range of junior staff and command appointments and to evaluate their potential for further staff training." Roughly half the course is academic-led education. A key feature is an Elective sub-course on subjects of the tutors' own devising. My Elective, which I teach two or three times a year, is a study of British Seapower during the half-century following the Naval Defence Act of 1889. The core of JSCSC business is the tri-service Advanced Command & Staff Course (ACSC). This is an intensive eleven-month course, with around 360 students, a quarter of them foreign, covering the whole gamut of 'defence studies' subjects. Its mission is "to prepare selected officers for high-grade appointments, up to and including the rank of Captain RN, Colonel and Group Captain, by developing their command, analytical and communications skills, and by providing a broad understanding and knowledge of joint, single-service and combined operations, and of defence as a whole." Aside from teaching, I am the ACSC's Subject Matter Expert on Command & Leadership. The jewel in the JSCSC's crown is the Higher Command & Staff Course. This is an annual three-month course for officers of great experience, typically in their mid-40s, and destined for high rank. Its desired end-state is "to have developed a mind that is able to analyze complex issues of a joint and combined nature from first principles in order to make timely decisions at the higher level of influence and command." There are just three internal (Defence Studies Dept) historians assigned to the HCSC (one for each element): I am both the original Maritime Historian and the Academic Lead, and have thus been closely involved in this Course and its development since 1998. The most demanding part of the HCSC is the intensive ten-day ‘Staff Ride’, which is a battlefield tour in which we historians set the scene at each ‘stand’ and then students lead the ‘modern pull through’ discussions, based on supervised research papers. This has to be stage-managed into coherent packages without curbing the students’ own conclusions. My first book, British Seapower & Procurement: A Reappraisal of Rearmament, illustrates the broad base of the pyramid: ostensibly about procurement, it explores the full web of contextual factors within which the Admiralty’s procurement policies were set and within which the Navy’s leaders should be judged. I sought to demystify Britain’s preparations for war in the 1930s, and, in particular, to dispose of (then) enduring mythologies about the constraints on rearmament. •	Tripartite articles: October 2006: RUSI Journal & RUSI website: an air/sea/land record-straightener (in association with Dr Christina Goulter and Prof Gary Sheffield) regarding the recent media spat over the respective air and naval roles in the deterrence of Operation SEALION. My 2,600-word article on RUSI website will be printed in the February 2007 issue of the Naval Review. Master of the Narrow Seas: a major biography of Admiral Sir Bertram Ramsay, naval commander of both the Dunkirk evacuation in 1940 and the Normandy landings in 1944. Ramsay fits my academic interests on several other levels of research-led teaching. His position by, say, 1944, at the centre of a web of senior Allied commanders is directly relevant both to my ACSC ‘subject matter expertise’ in Command & Leadership, and to my evolving work on the HCSC Staff Ride, which studies both Dunkirk and Normandy. He is a vital link in understanding how the ‘Allied Command Club’ in the European Theatre worked. The Whale and the Elephant (working title): Britain’s war against (mainly) Germany in the global seascape of maritime strategy. At the Society of Military History (SMH) Conference hosted by the University of Tennessee, Knoxville, on 1-4 May 2003: a paper on ‘Operational Art in the Mediterranean, 1940-43’. At the ‘Past Futures’ twin Conferences, hosted in the UK (3-4 July 2003) at Sandhurst by the Strategic & Combat Studies Institute and in the US (9-10 September) at Quantico by the Marine Corps University, a paper on ‘Military Transformations in Long Periods of Peace: the Victorian Royal Navy’. At the SMH Conference hosted by the University of Maryland, Bethesda, 20-23 May 2004, I gave a paper on ‘History Theory, Doctrine and Naval Command’. At the Annapolis Naval History Symposium on ‘Expeditionary Warfare’ on 7-8 April 2005, I gave a paper on the Victorians’ experience of maritime power projection. I was invited by German Armed Forces’ Militärgeschichliche Forschungsamt and the Otto-von-Bismarck-Foundation to give a keynote paper at their Battle of Jutland 90th Anniversary Conference at the end of May 2006, but was unable to attend due to teaching commitments. 1. & 2. I was guest of honour of The Royal Navy Club of 1765 & 1785, at its Queen’s Birthday Dinners in 1998 and 2004. One of the most exclusive military clubs in the world, this comprises RN officers qualified for major warship command (a shrinking group). 3. In August 2002 Com.UK Task Group flew me out to Bahrain as his guest, and thence out to USS George Washington in the Indian Ocean. I was onboard for two days and gave a historical talk to the Battle Group flag-officer, RAdm Joe Sestak, and his staff (inc. Capt. Gerry Roncolato). 4. In October 2005 I was guest of honour of the Royal College of Defence Studies for their 200th anniversary Trafalgar Night Dinner on the gundeck of HMS Victory. 6. I took part in a panel (‘Back to the Future: Sir John Fisher’s Naval Revolution and the Future of the US Fleet’) at the US Naval Institute’s 2006 Joint Warfare Conference, 5th October 2006, in Virginia Beach. There was talk of repeating the panel in April 2007 in Annapolis. I regularly lecture on ‘Crisis Escalation and Command Dilemmas’ to the CO Desigs Course at the RN’s Maritime Warfare Centre. I have been visiting speaker on many occasions, often onboard ship, sometimes at sea – including a week in Illustrious, for her visit to Malta in 2005, to ensure that the ship’s company understood the strong historical links between the island and the ship. I was in the select loop for the recent redrafts both of Fighting Instructions and of British Maritime Doctrine (BR 1806). I am a former Lieutenant Commander, Royal Naval Reserve. The first occupant of the Chair was Professor Williamson (Wick) Murray whose biography is presented in the paragraphs below. 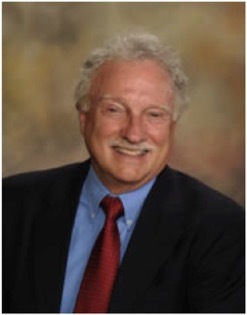 Dr. Williamson Murray (Wick Murray) is Professor Emeritus (History) at Ohio State University (Retired) and Institute for Defense Analyses (IDA). He also served on the U.S. Commission on National Security/21st Century / Hart-Rudman Commission as a Study Group Member. From the Naval War College Review, Spring 2001 (http://www.nwc.navy.mil/press/Review/2001/Spring/MurW-bio.htm): "Dr. Murray received his Ph.D. (after service in the U.S. Air Force) in military-diplomatic history at Yale University. He has taught at Yale, at the Air, Army, and Naval War Colleges, the U.S. Military Academy, Marine Corps University, the London School of Economics, the Smithsonian Air and Space Museum, and Ohio State University, of which he is a professor emeritus. He is currently a consultant at the Institute for Defense Analyses in Arlington, Virginia. His numerous books include Air War, 1914-1945 (1999) and a number of works in collaboration with Allan Millett, including, most recently, A War to Be Won: Fighting World War II (1999)." Williamson Murray was credited on a game in 1991. His/Her career probably spans more years than those displayed since these dates are based on the credits documented in MobyGames (which are incomplete). Williamson Murray has been credited with the roles Box & Content. Williamson Murray has been credited on games developed by the following companies: LucasArts. This does not imply employment by these companies. •	Leading tours of nearby battlefield locations to instill in midshipmen and invited members of the Class of 1957 a better appreciation of the importance of leadership in combat. Now therefore: Be it resolved that the class presents the inaugural Chair in Naval Heritage “Captain’s Chair” to Professor Williamson “Wick” Murray as an expression of our gratitude to him for his outstanding performance as first incumbent of the “Class of 1957 Chair in Naval Heritage,” to recognize the significant positive impact he has had on the Naval Academy, and the honor he has brought to the class through his work.